Real Madrid recorded its first road win in Group F by downing Khimki Moscow Region 82-93 in the Russian capital on Thursday. Both teams now have a 4-3 records in the Top 16. Gustavo Ayon led the winners with 24 points on 10-of-12 two-point shooting plus 13 rebounds and 5 steals. 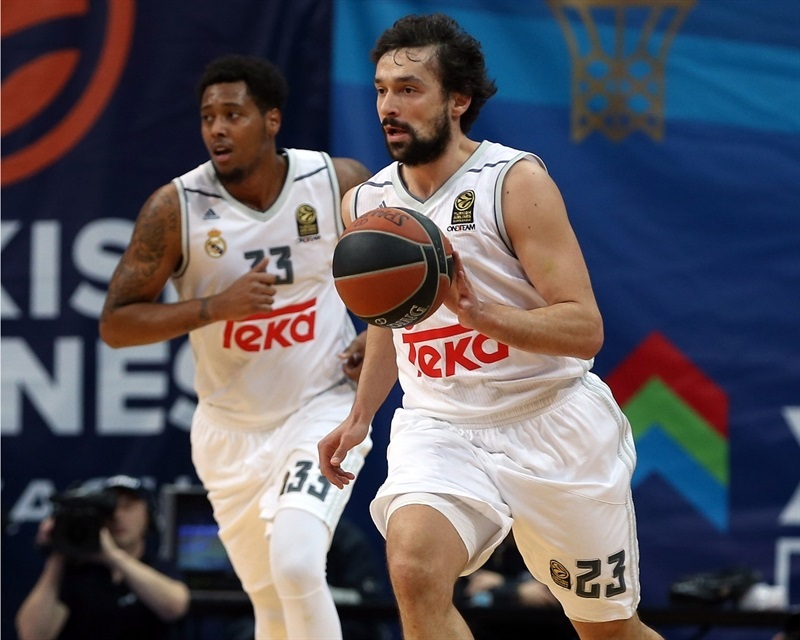 Sergio Llull added 17 points, 6 rebounds and 11 assists, Trey Thompkins and Jonas Maciulis each scored 11 points and K.C. Rivers 10 for Madrid. James Augustine led Khimki with 20 points and 7 rebounds, Alexey Shved added 17 points, Sergey Monya 14 and Tyrese Rice tallied 12 points and 9 assists for the hosts. Maciulis and Ayon shined early to give Madrid a 7-11 lead. Rice and Augustine fueled a 17-4 second-quarter run for a 50-43 halftime lead. 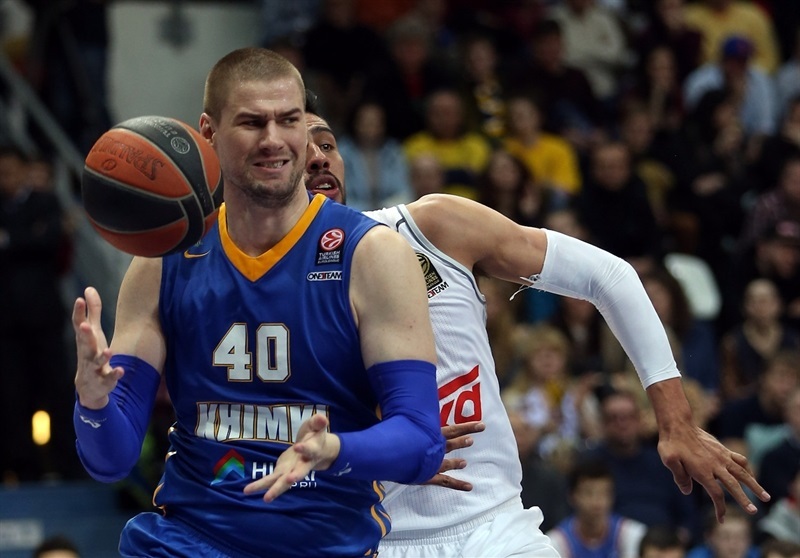 A three-pointer by Monya gave Khimki a double-digit lead, 55-45, early in the third quarter. 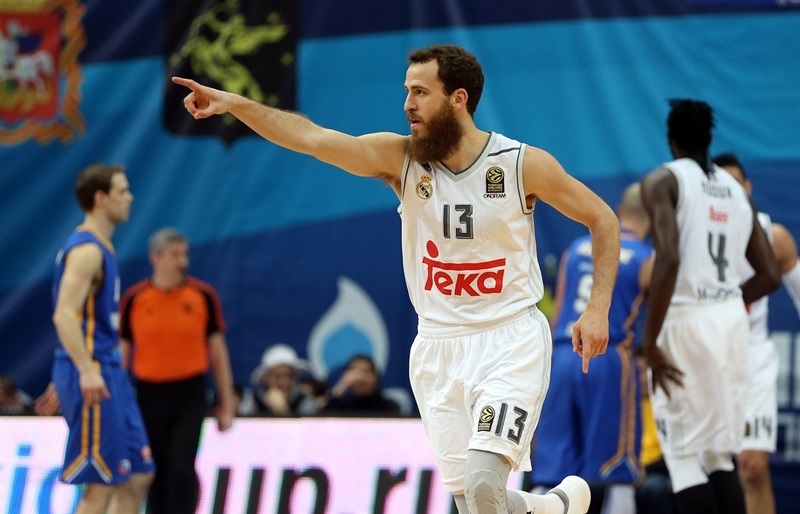 Llull and Jaycee Carroll led a 1-16 run that brought Madrid back. 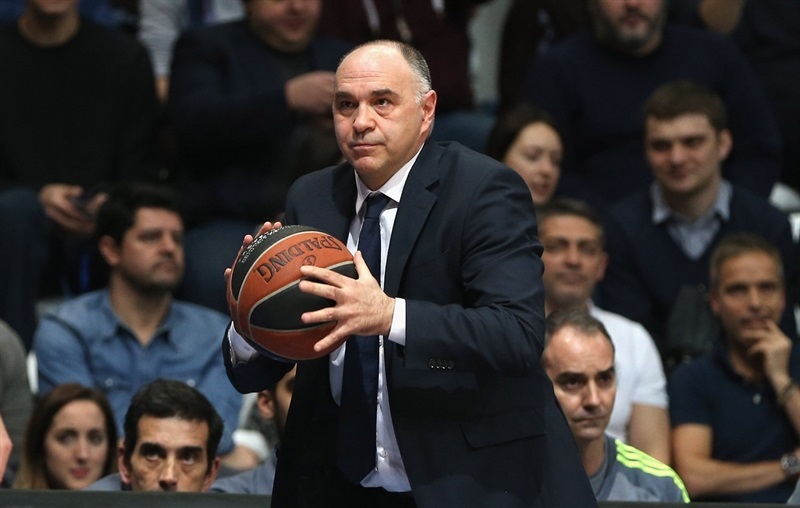 Then Ayon took over early in the fourth quarter, boosting Madrid's lead to 72-84 with four minutes left and Madrid cruised the rest of the way for a well-deserved road win. 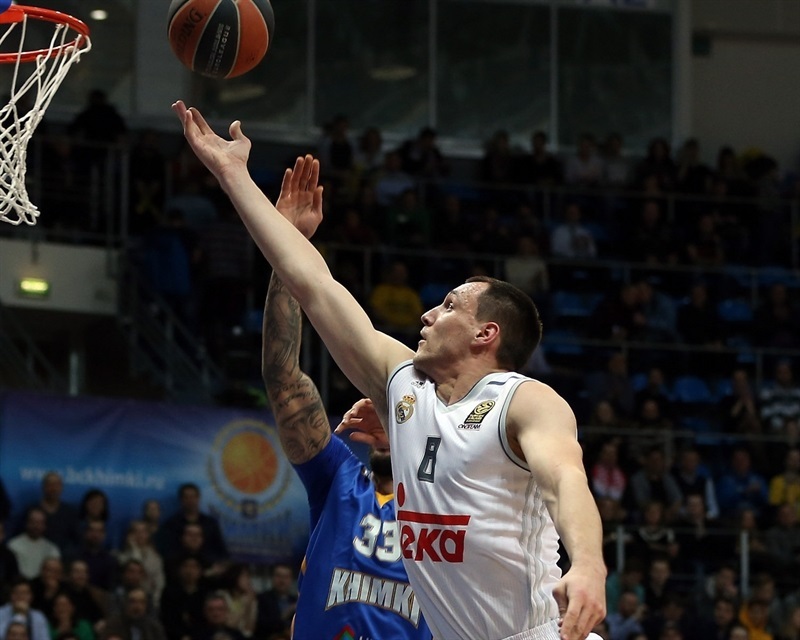 Augustine got Khimki going with a free throw, but a step-back jumper by Ayon gave Madrid a 1-2 lead. Rice answered with a driving layup, but Thompkins bettered that with a three-pointer. Shved scored around the basket and a dunk by Tyler Honeycutt put Khimki back ahead, 7-5. Maciulis struck from downtown and Thompkins hit his second triple, which caused Khimki to call timeout at 7-11. Augustine also hit one from beyond the arc and erased Ayon's close basket with a layup. Thompkins swished a fallaway jumper, but Shved made free throws and a jumper by Rice put Khimki back ahead, 16-15. Maciulis scored in transition and a tip-in by Ayon gave Madrid a 16-19 edge. After Maciulis sank his second three-pointer, Shved took over with a put-back layup and a jump hook by Augustine brought the hosts within 20-22. After Shved nailed a corner triple, Ayon scored again and a driving layup by Sergio Rodriguez gave Los Blancos a 23-26 edge. A three-point play by Paul Davis tied the game, 26-26, after 10 minutes. Llull made free throws early in the quarter, which Davis erased with a turnaround jumper. Rivers buried a corner triple and Llull bettered Zoran Dragic's fast break layup with his own bomb from downtown for a 30-34 Madrid edge. Augustine split free throws and matched Willy Hernangomez's dunk with a layup. 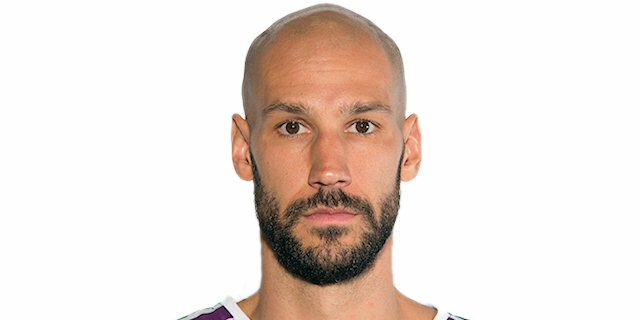 Jeffery Taylor joined the three-point shootout, but Shved took over with a circus shot off the baseline and Augustine added an alley-oop layup to bring the hosts within 37-39. Rice made free throws and Monia improved on Rivers's finger roll layup with a triple to give Khimki a 42-41 lead. Rice found Augustine for a big slam and Dragic added free throws to pad the lead. Ayon scored around the basket, but Rice hit foul shots and found Davis for a layup and a 50-43 Khimki advantage at halftime. Shved swished a six-meter jumper immediately after the break, which Ayon erased with a close basket off a pick. 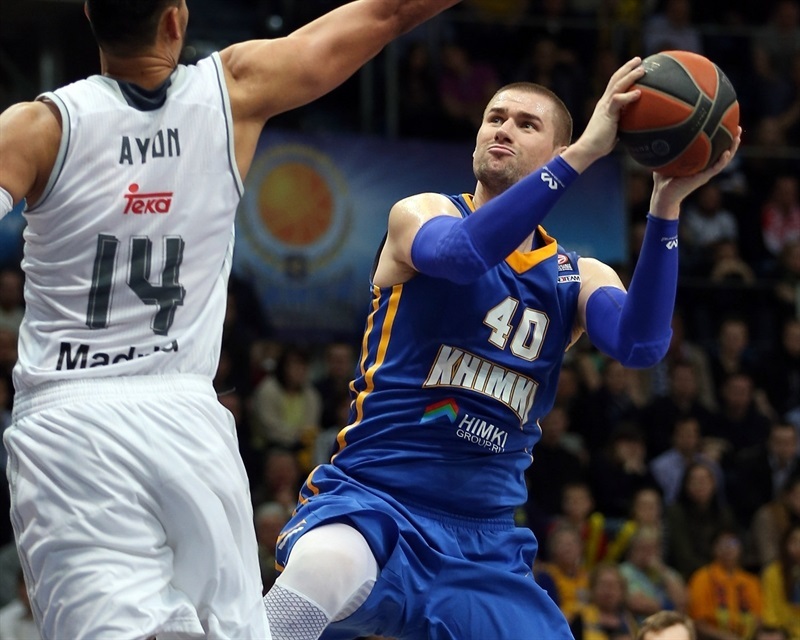 Monya nailed a three-pointer in transition to give Khimki its first double-digit lead, 55-45. Jaycee Carroll answered from downtown and Ayon erased Augustine's step-back jumper with a dunk. Monya hit a one-handed floater but Llull did better with a triple and Carroll added a driving basket to give Madrid hope at 59-55. Augustine split foul shots and a long three-pointer by Maciulis brought Los Blancos within a shot. Thompkins also hit one from beyond the arc to complete Madrid's comeback, 60-61. Carroll took over with a wild three-point play, which Llull followed with a driving layup to cap a 1-16 run. Rice rescued Khimki with a layup and Dragic added a triple to bring the hosts within 1. 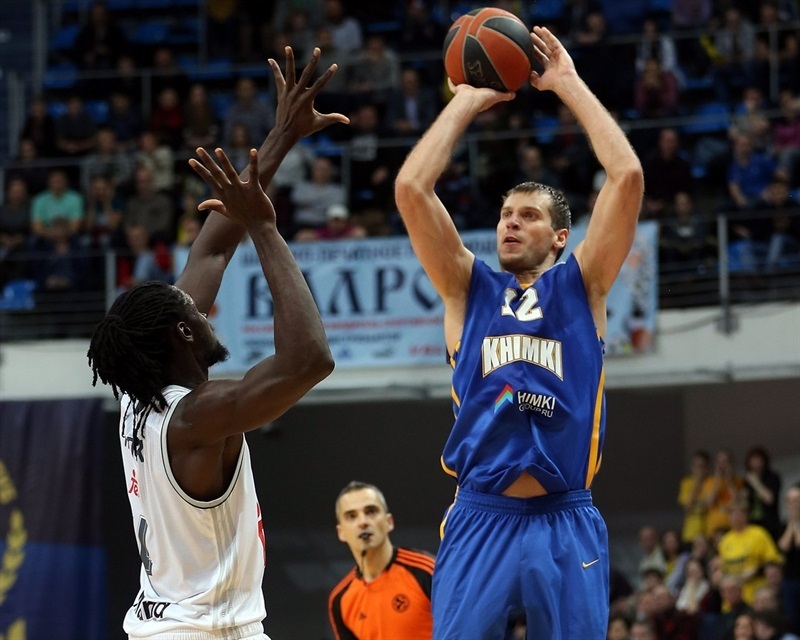 Petteri Koponen scored off a steal and free throws by Rice gave Khimki fresh air at 69-66. 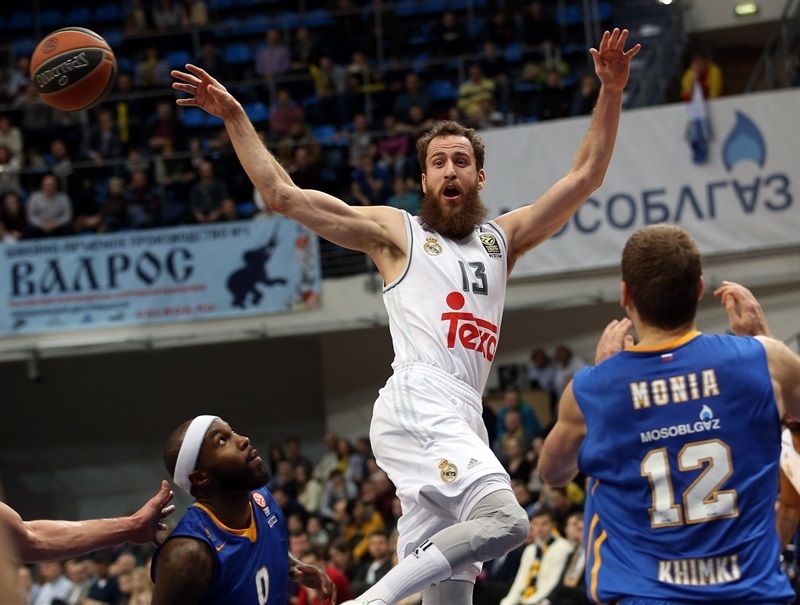 A jumper by Llull and a buzzer-beating triple by Rivers restored a 69-71 Madrid edge. 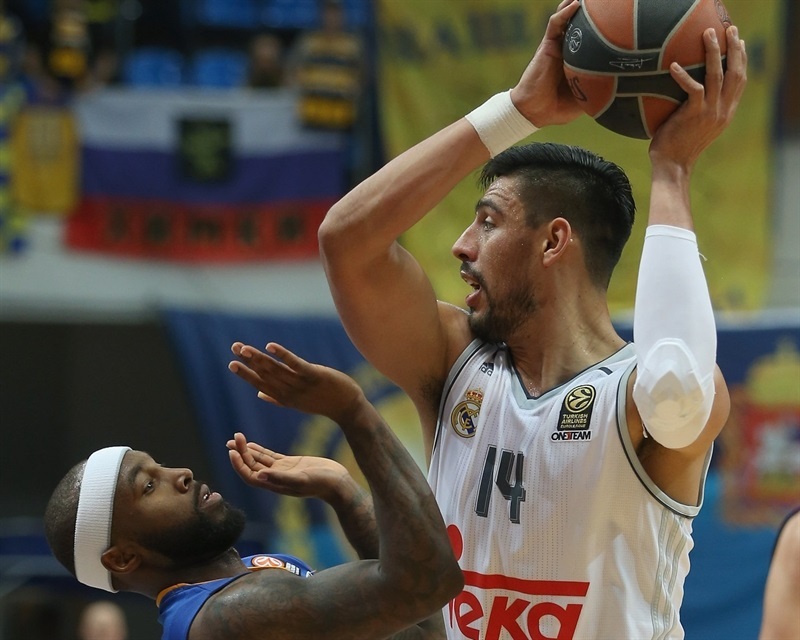 Llull made free throws early in the quarter and Rodriguez split attempts for a 69-74 Madrid edge. Rivers shined with a fast break layup off a steal that Monya improved on with a bomb from downtown. Ayon had 2 offensive rebounds in a three-chance Madrid offense, which Rodriguez finished with a triple. A dunk by an outstanding Ayon made it a 9-point game. Khimki struggled to score right when it mattered most and Ayon continued dominating the boards. His reverse layup caused Khimki to call timeout at 72-84 with four minutes to go. Shved tried to change things with a layup and Augustine scored again to bring Khimki within single digits, 76-85. After Monya buried a three-pointer, Madrid called timeout at 79-85. Ayon hit 3 of 4 free throws to seal the outcome, 79-88, in the next-to-last minute. Llull hit his trademark mandarina step-back triple to help Madrid to seal its win in style. 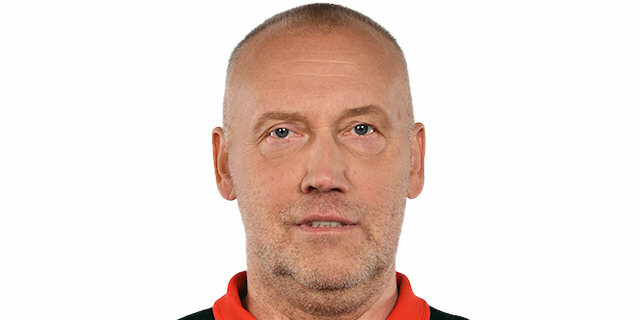 "I want to congratulate Pablo Laso and Real Madrid on a good game. They played all 40 minutes whereas we had ups and downs. 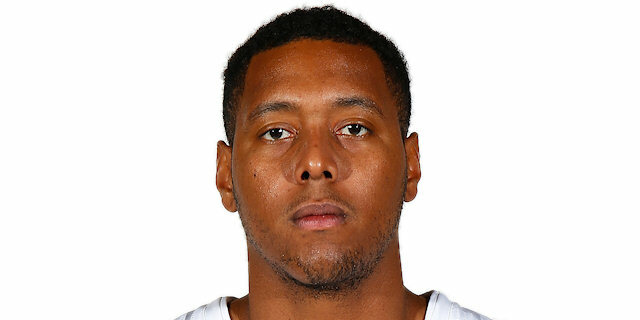 But Real got better patience and finished the game like a Euroleague champion. Okay, we lost for the first time at home in the Top 16. It’s not so good, but anyway we have a lot of games in the second lap and will try to get back to winning." "Congratulations to my team for the victory. It was very tough. We knew how difficult it is to beat Khimki; in fact we lost two times in the [regular season] against them. They have a lot of talent at every position and it’s very hard to match them up. We started the game very well and moved the ball very well. We made shots and contested their offense, but in the second quarter we made some turnovers and were not able to go to the free throw line. So Khimki got a little lead. In the locker room we talked about our game plan. It was decided to change nothing compared to what we talked about before the game. In the second half we were able to rebound better and contest shots. Also we had offensive control. That helped us to establish our defense. I think our rebounds and intelligence playing in the offense was the key to take this important victory." "It is easy to understand that there is nothing I can say about the score. Fenerbahce was absolutely better than us. You cannot beat a team like Fenerbahce missing free throws the way that we did in the first half and finishing the game with 47% from the free throw line, also shooting 40% from two-point range. You don't have a chance to beat anybody with those numbers. We were better on offensive rebounds, turnovers and some other aspects of the game, but all that is for nothing if you miss under the basket and alone at the free throw line. We didn't have a chance to beat them with these numbers." "It was a tough game. It’s always tough to play here in Moscow against Khimki, that is a great team from top to bottom. They also have a great coach. But tonight we fought from the start to finish and came out with a tough victory. The reason for our comeback is coaching and great toughness. We have great leaders in our team. They led the way and we followed them. Tonight we did a great job on fighting and getting stops. I give all the credit to my team."